The past few months, as I've been working through my fabric stash, I've also been working through my pattern collection. Things I've meant to try and kept procrastinating about or others I bought and promptly forgot. Some have been hits and others have been disasters. It's definitely made me realize how important positive experiences are to sewing. There's a huge sense of accomplishment and satisfaction when we sew up something that turns out well. It's encouraging. It makes us want to sew more. Yet, on the flip side, if we struggle with a pattern, can't get it to work out like we expect, or have to alter it so much we've practically re-invented it, it's easy to get frustrated, mad or step away from sewing. Same goes for when it's been such work to make that no matter how nice the finished item looks, we say never again. 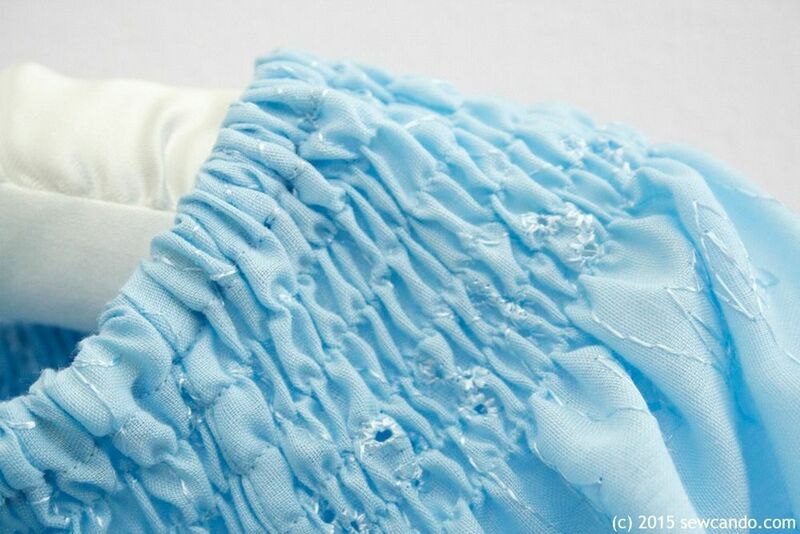 Those patterns become roadblocks to doing certain techniques or sewing particular types of materials or items. I've been thinking about making a list I call my Pattern Joy. It's more than just favorite finished designs. Every pattern that's been a pleasure to sew, turned out well, improved my skills, been really versatile - or all of the above - will go on it. So then when I need to thin my stash or want to sew and feel true enjoyment while I do it, that's where I now look first. It's like having guaranteed wins for sewing. 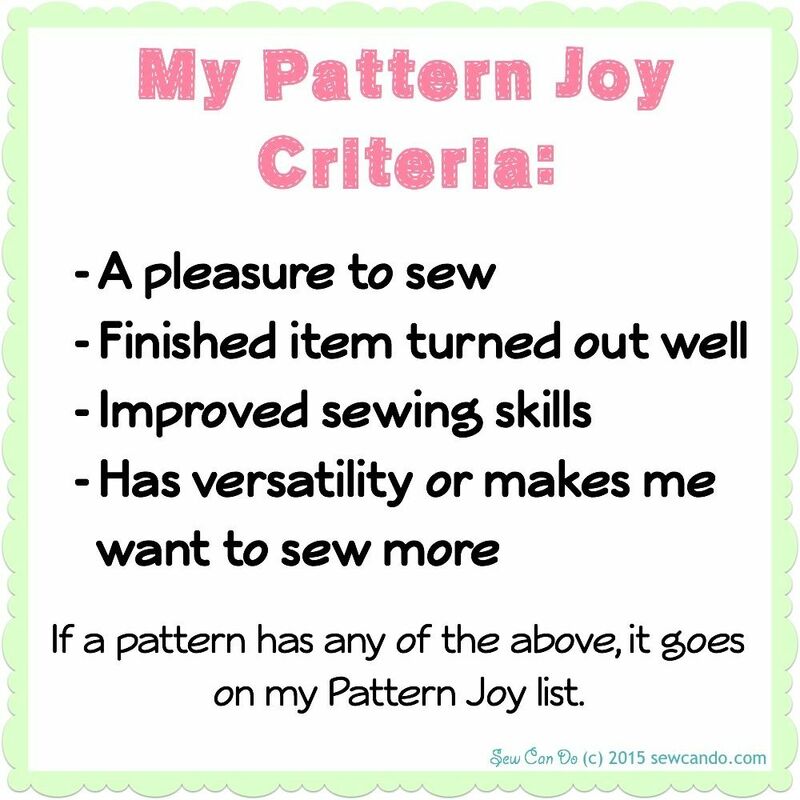 Now whenever I use or create a new pattern, I'm going to note if it meets my Pattern Joy criteria. Sometimes it may take a couple of uses to get there. 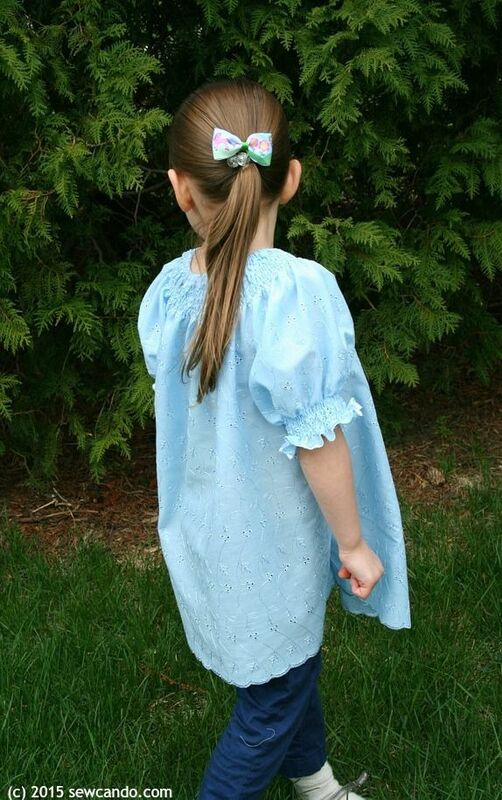 I used to avoid one pattern I had because the back zipper turned out mediocre the first time I made it, but the other steps were very easy, so I didn't say never again to it. Now that I've used it a couple of times, I've mastered that zipper and it's now a favorite pattern. This pattern, the Pumpulipilvi Tunic, is one I've had for years and only finally got around to trying. It's from the Spring 1/2010 issue of Ottobre Design. I've had hit & miss results with their patterns, but decided to give this one a go with some eyelet fabric I'd hoarded for years. This fabric is literally one of my very first buys when I started sewing almost 7 years ago, so it was about time to finally use it. 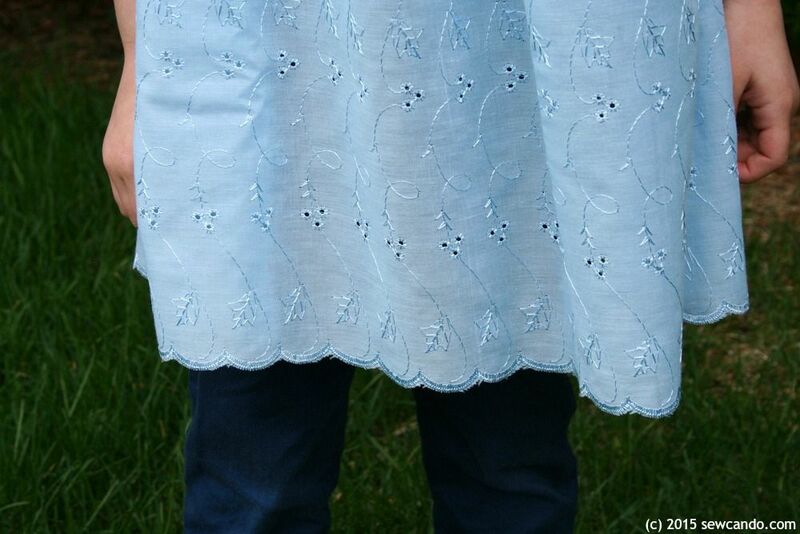 The steps were straightforward - it was a basic raglan design and to do the smocking effect, it was just simple shirring with a narrow elastic casing at the neckline. Using fabric that had a pre-finished edge made this an even faster project, since there was no hemming to do on the sleeve or bottom. I just had to cut the pieces out perpendicular to the selvage rather than parallel to it - plus the gathered design meant there was no issue with it being opposite to the grain (which can be a huge deal on more fitted pieces). It went together smoothly and when I was done I was truly as pleased with the effort as the end item. Sometimes I love the final results, but the actually sewing wasn't much fun. This time, I immediately said to myself "I really enjoyed sewing that up" and couldn't wait to use it again. 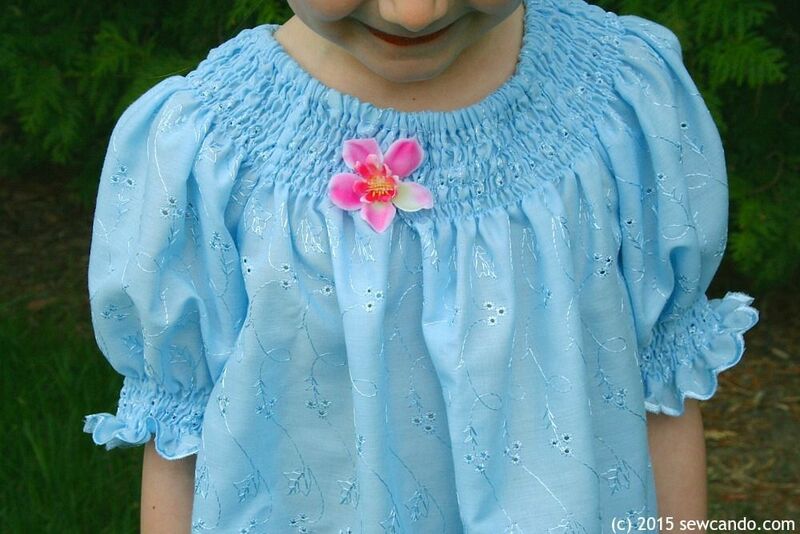 I also felt that way once I'd made my DIY Flutter Ruffle Trim Nightgown too. Those satisfied feelings gave me the idea for making my Pattern Joy list. Now I have a growing list of patterns I truly enjoy using and can refer to when I want to make something I know I will love. I may even start sharing my list if others are interested. 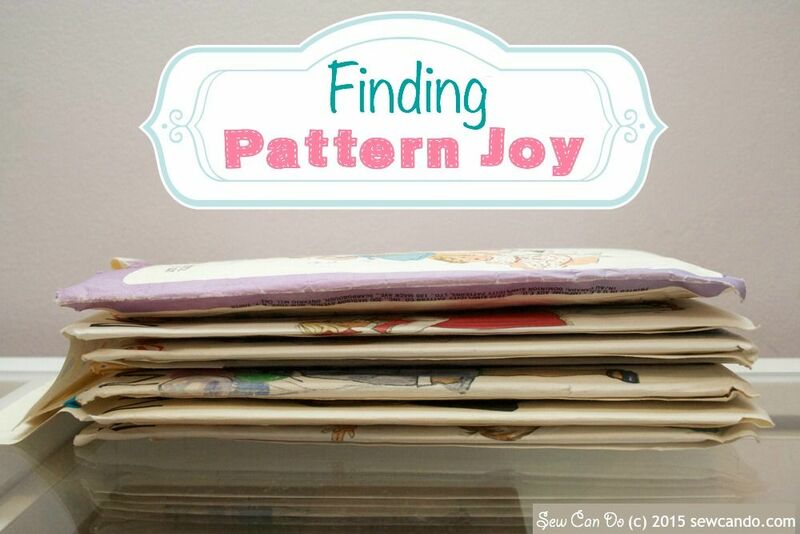 What features or experiences bring you Pattern Joy? Your criteria are pretty close to mine - goes together without a problem, fits well, like the finished project enough to want more than one. I went through all my patterns about 4 years ago and culled out over 100 that would never get done. I kept about 2 dozen and still have patterns I haven't made yet. I tend to go back to the favorites for pants and skirts, and sleeveless shell tops. Thanks for inspiring me to look at those again and try a new-to-me pattern. Maybe I'll do that today! That's great to hear Carole! I think many of us have loads of patterns that we just never get to or don't love but still hold onto. Streamlining it down to those that are really loved and work well makes such a difference. 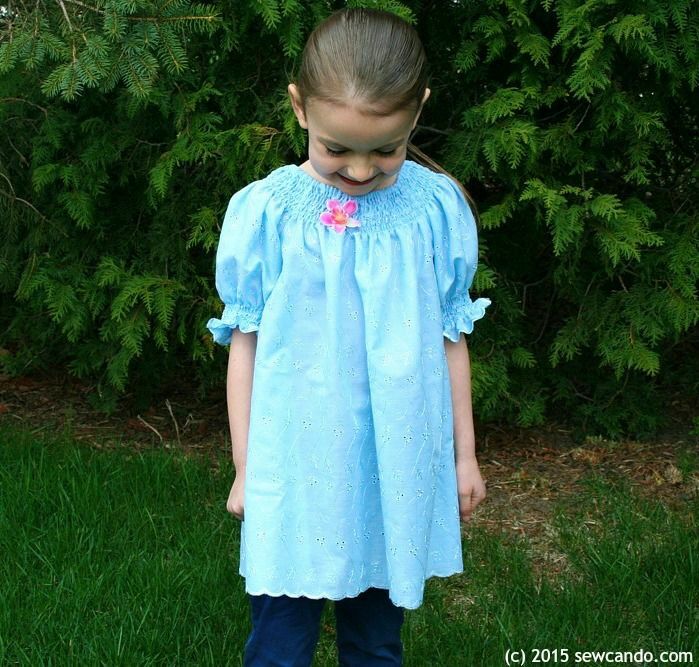 It's a great idea to rate and keep a go-to list of patterns that work well and inspire you to sew again and again. I think I'll do that, too! Definitely makes it easier to use those precious free moments on sewing rather than sifting & deciding! Thank you for sharing at the Thursday Favorite Things Blog Hop!